Cherry Red’s newly established imprint Doctor Bird has recently put two scorching boss reggae compilations on one CD. No More Heartaches and What Am I To Do were originally released by Trojan in 1969 and 1970 respectively. Both included singles produced by Jamaican producer Harry J, who is probably best known for Bob & Marcia’s version of Young, Gifted & Black and the killer organ instrumental Liquidator, which contains a bass line borrowed by The Staple Singers for their 1972 hit song I’ll Take You There. The album comes with a hefty 24 tracks – twelve from each compilation – and No More Heartaches is the stronger compilation showcased by the first half of the album. It represents classics like The Beltones’ aching title track, Glen Brown & Dave Barker’s stomping Lucky Boy, Lloyd Robinson’s lethal Cuss Cuss and Richard Ace’s brutal organ instrumental Hang ‘Em High. What Am I To Do is much weaker and is probably best known for its title track sung by Tony Scott. The standout cut on that one is however Harry J Allstars’ horn instrumental Wha’pen. Harry J continued to record throughout the 70s and 80s, but was less prolific. He died in 2013 after a long battle against diabetes. Jamaican vocal trio The Kingstonians’ debut album Sufferer was one of the first original reggae albums I bought. This was around 1997 and I was heavily into so-called boss – or skinhead – reggae. The set is The Kingstonians only long-player and was at the time of its original release, back in 1970, a best-seller for Trojan Records. The shuffling title track – along with Winey Winey and Singer Man – are classics, but the album collects many more gems. Especially this new reissue from Cherry Red. It comes with a hefty 24 cuts, compared to the original 12. This killer reissue showcases a dozen more of producer Derrick Harriott’s work. Several of the added tracks are bouncy instrumentals from backing band The Crystalites, tracks also featured on The Crystalites’ album The Undertaker. Along with the classics standout cuts include the beautiful Hold Down and the melancholic Kiss a Finger, which was the B-side of Sufferer when it was put out in 1968. This album, and its bonus material, is well sought after and is now finally available. Record Collector magazine – the world’s leading authority on rare and collectable records – will highlight vintage Jamaican sounds in their upcoming June edition, according to Trojan Records. The magazine will feature an article on the 51 most collectable skinhead reggae tunes by British music journalist and author Michael de Koningh. He is co-author of Tighten Up! The History of Reggae in the UK and Young, Gifted and Black: The History of Trojan Records, so he probably knows his way around skinhead reggae. Included are also an investigation in the world of eBay fake bidding, something that has previously been covered by the excellent blog DanceCrasher. Publisher, music writer and musician Ray Hurford has put out a new book in the always interesting The Small Axe Guide To series. 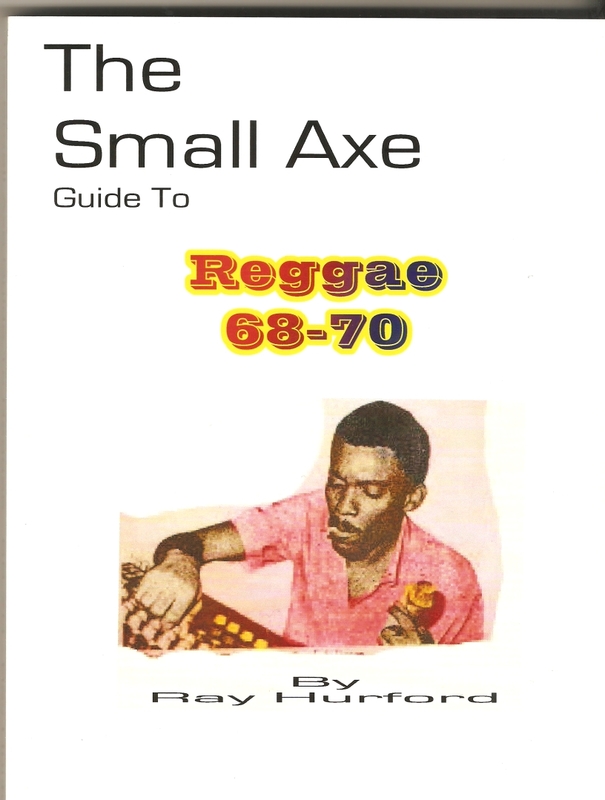 The Small Axe Guide to Reggae 68-70 digs deep in early reggae, sometimes labeled skinhead reggae, since it was the skinheads who took the music to their hearts outside the West Indian communities in the late 60’s. The book is 200 pages and contains over 100 profiles of all the people who were big in the reggae era during this period – Desmond Dekker, Derrick Morgan and Laurel Aitken to name a few. Included are singers, groups, bands, musicians, deejays and, of course, producers. The Small Axe Guide to Reggae 68-70 is somewhat reminiscent of the nowadays deleted Boss Sounds by Marc Griffiths. But Boss Sounds concentrated on singles and The Small Axe Guide to Reggae 68-70 is instead focusing on albums. If you like guides and labels such as Trojan and Pama then you should definitely check out this book. Available through Small Axe People for £7.50 in the UK or £9.50 to Europe and rest of the world.